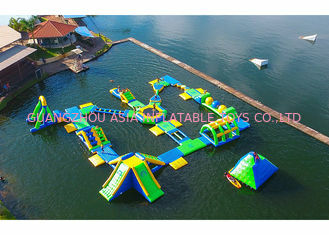 We offer you the ultimate inflatable water park and obstacle course challenges. Featuring the Inflatable Iceberg. Inflatable slides, and runways that give you the ability to balance/walk/run/slide on water. We are for those seeking adventures, thrills, and new outdoor challenges. 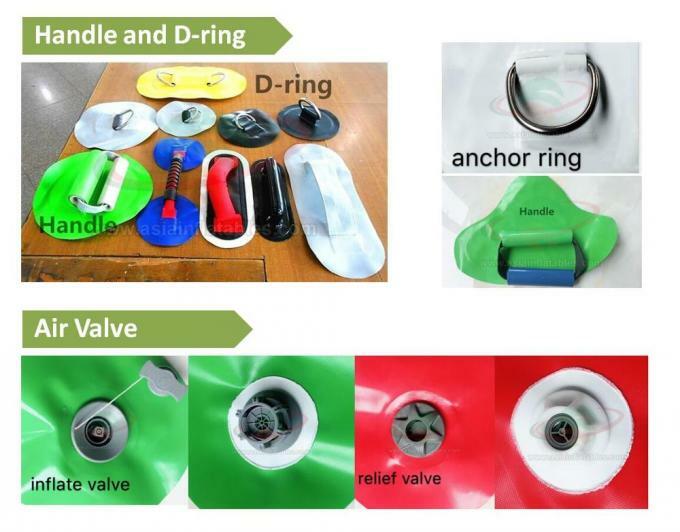 Air Valve for Inflate and Deflate: Convenient and high safety index, has 3 layers leak-proof function. Air Pressure Valve: In hot weather, will automatically adjust the pressure to prevent blasting. Protected Cover : Add more layer PVC Tarpaulin outside for protect the air valve and Prevent the valve from scratching and scraping. Stainless Steel Iron-Ring: For Anchor/ Fixed. 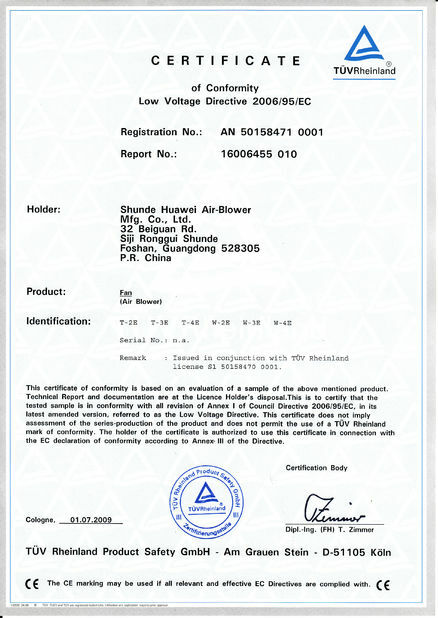 When used in seawater, it has anti-corrosion function. 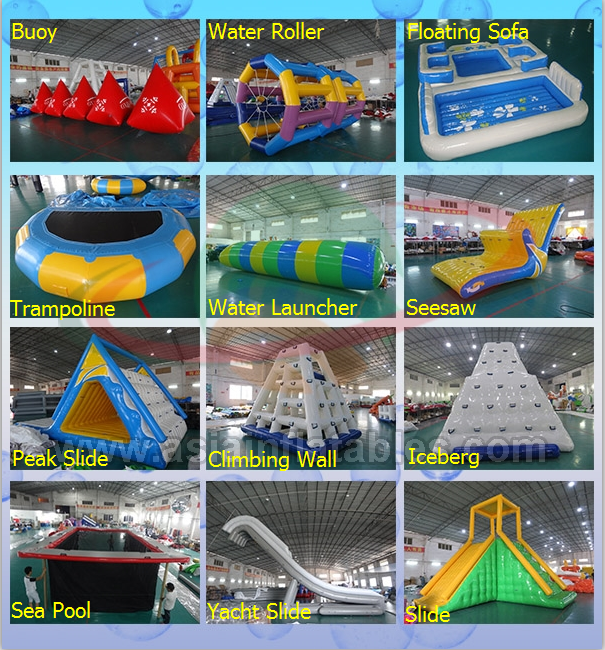 All of our inflatable Water Park is made of 0.9mm PVC Tarpaulin Material, which have 3 layers (PVC + Strong Net + PVC) , with abrasion resistance, tear resistance, water and fire protection, and durable features. The Material tensile strength 3478N, tear strength 1572N, adhesion 188N / 5cm, cold-resistance -30 degrees, heat - resistance +65 degrees. Can be printed directly for a smooth seamless finish. For Inflate and Deflate Air. Meet the import standards of many countries. After customers make orders, our designer will check each part size and make a 3D to confirmed it can be fixed a park very well before producing . 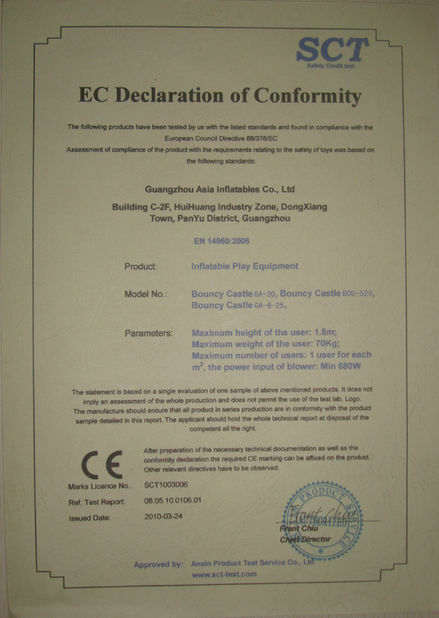 We have professional designer team to healp you design the water park and otther inflatable products you want. Also, your design is very welcome. 2) We can offer necessary accessories for installing a park such life vest, bungee cord, sand bags, rope ect.You do not need to shop around everywhere. Rich Installation Experience, if you firstly start this business, we will Personal Guidance you in installation. We already have went to The Qatar, Oman and the Philippines to help our customers install water parks. 2.We install high quality air relief valve madein on our water parks, so the items can release air to a safety level automatically when it's getting hot in the noon. 3.For parts like anchor rings and handles, we use the big high frequency welding machine to weld on the products instead of glue on by hand.The partsand the main body are fused together so the quality is very stable and will not peel off. 4.Stable Connection System. Bouncia created originally eyelet connection system and anchor ring connection system which make the whole park very stable. 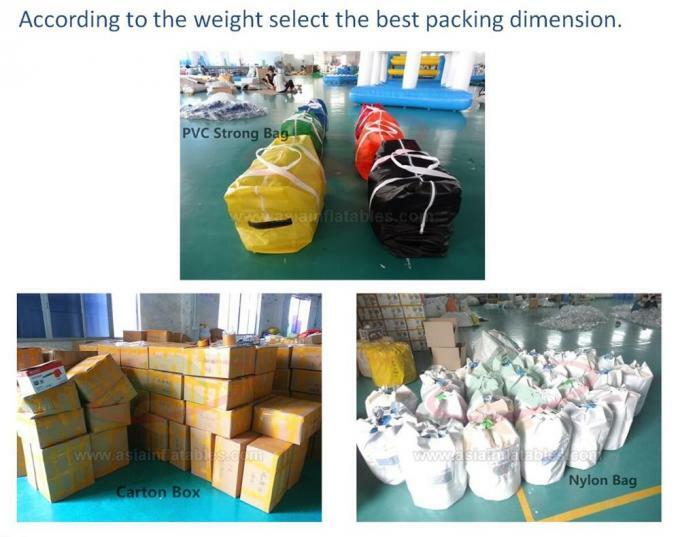 Carton and PVC Tarpaulin for packing, as per your goods weight for choose. And comes with the goods picture shipping mark outside for easy to pick up goods.